2014 Metro "MEGA" Gathering event !! Come join CJC and NNJC as we host the 1st Annual NJ/NYC area MEGA Metro Gathering!! 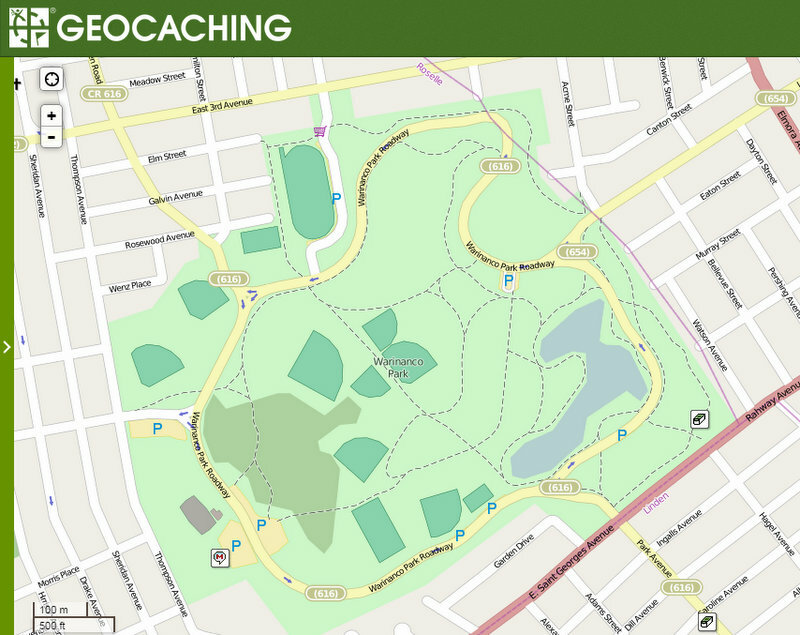 Cachers from across the entire New England States and beyond are invited to attend the FIRST annual NYC-NJ Metro area event located at Warrinaco Park, Warinanco Park Roadway, Roselle, NJ 07203. FOR EVENT DETAILS AND INFORMATION SEE THE METRO GATHERING MEGA TAB AT THE TOP OF THIS PAGE! Everyone is welcome to come join the Pre~Metro Gathering Mega Meet and Greet located in the scenic countryside of Morris County NJ. Come and help get the Metro Gathering Mega party started the night before the big day! The gathering will be at the pavilion, with a roaring fire to warm the geo-hearts.. Food and refreshments will be available, or you may bring your own meal. Spend time to geo-chat, trackable exchanging and a chance to meet geocachers new to the area who have traveled to the event. Whether you are in the area seeking the numerous caches, interested in meeting new faces and welcoming them to NJ, hungry or cold, or just need a place to unwind and relax - this is your opportunity. Also, pre-registration packages for the Metro Gathering Mega Event (GC56TP7) will be available for pickup. Visit Cache Page link HERE. We have achieved what some may think the impossible, we created the first NY/NJ area mega event in just 5 months! Check often for more updates. All Day ~ Stop by the Trade tent to trade coins and tags, (specific time to meet on the hour, every hour to trade big gathering at 12:00). 10:00 ~ 3:00 Tricky Tray ~ Receive one ticket with your registration to place in one of the donated gift baskets. 11:15 ~ Meet our friend ~ IMSpider currently ranked 8th Geocacher in the World! Please join the Northern New Jersey Cachers and Central Jersey cachers as we welcome you to join in the NYC/NJ metro area's Mega Event . Register. It's free to come and you don't strictly have to register. It helps us plan, but more importantly - it helps you at the event. Check the Our event schedule changes right up to the last minute, so check it out often to see new stuff and stay abreast on schedule changes and cancellations. Pull a GPX (Pocket Query). You can pull 1000-cache pocket queries now so you can plan on plenty of caching. When will the store and registration be open until? Registration closed on September 20, 2014 for registration and to purchase event swag. free registration is still open and you are welcome to register to receive a generic name badge. Do I have to register? Yes, Everyone attending must go through the registration process. This allows us to plan accordingly for the number of participants. Do I have to pay for registration? No. Its free to attend. With the free registration you are welcome and encouraged to attend the event. Free registration includes a generic name badge only. 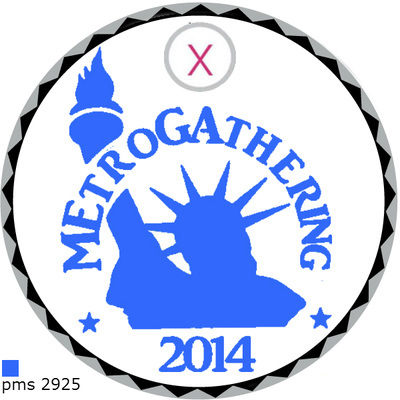 There are other levels of registration that include the official Metro Gathering Mega name badge, event swag, etc. Be sure to check the wensite out before you make your decision. What if I can't make the event, are there refunds? Yes, we offer full refunds up until November 15th, 2014. After that, there will be no refunds. We will, however, be glad to give your packet to someone at the event to give to you. You will have to email us through the site with the name of the person picking up your packet. Only your written authorization will release your packet. Why would I want to pay for one of the registration levels? Each registration level has been uniquely designed to provide you a variety of options. There are many different levels to choose from. Each level has some great benefits. It also helps the organizers of the event by allowing us a revenue stream prior to the event so we can pay for swag and facilities. Another benefit is you are guaranteed swag even if the store sells out. Can I pay by check or money orders? We are only able to accept payments through PayPal prior to the closing date of the store, September 8, 2014. You may purchase some items at the event and we will be able to accept CASH at that time, however, quantities will be limited. 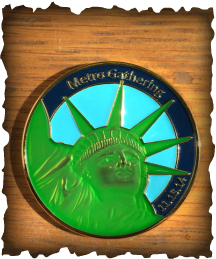 It is important to pre-register at the Metro Gathering Mega Event website to make sure you pre-order your official swag seen below. Pre-orders ~ NOW CLOSED. NOTE: We ordered an extra supply of Metro Gathering Coins and tags, to be sold on first come first serve only at the event! Event officially opens at 10:00 with the unveiling of the log book! Lackey Trivia Game 10:30 The Lackey will ask a series of Geocaching questions until the last Geocacher is standing! Shutter Spot Game ~ morning location Locate the spot of the posted picture at the information table dropoff the cords you think are of the picture, closest cords Wins! Closest to the Pin Micro Game Toss a weighted micro towards a pole, closest first, second and third wins! GPS Morning Game Register and pick up a flag, use your GPS to pinpoint GZ on your GPS, closest wins! Shutter Spot Game ~ afternoon location Locate the spot of the posted picture at the information table dropoff the cords you think are of the picture, closest cords Wins! Lackey Trivia Game 1:30 The Lackey will ask a series of Geocaching questions until the last Geocacher is standing! GPS Afternoon Game Register and pick up a flag, use your GPS to pinpoint GZ on your GPS, closest wins! All located at the information Tent! Geocaching Bingo Submit your completed bingo 2:30 ~ perhaps win a prize! Creative cache contest Bring your home made creative geocache to show off your creativity, crafty, devious and unusual container. Two age groups winners ~ under 15 and over 16. Ammo Box Guessing Games Two ammo boxes filled with (?) contents ~ guess the number and what's is inside. Winner receives the ammo can! World Map Mark map upon your arrival, prize awarded to the one who traveled the longest distance. 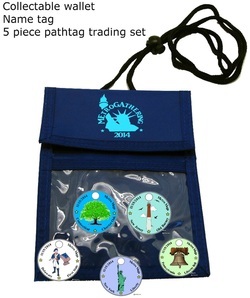 The Metro Gathering Mega Event trading set is a collector set of five PathTags! How can you get your set? Each person that purchases a the Trade Package will receive a complete set of five different PathTags. There will be a limited supply of Lanyard wallets, Pathtag trade packs, event pathtag, event extagz, 6 piece extagz puzzle and trackable event geocoin to be able to purchase at the event, first come first served. The solid colored t-shirts will be $12 available in black as in picture, ash, or royal. Tie-dye t's $15. 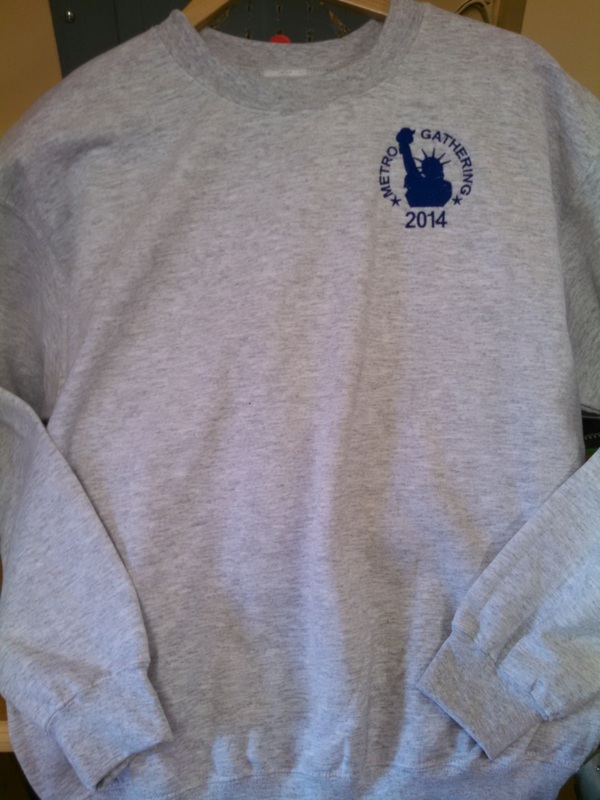 Sweatshirts available in ash (as pictured) or black $15 ~ Any items 2XL and larger up to 4 XL would be $5 more. (stiff front, Velcro closure) or unstructured ( no stiffness in front, buckle closure). You can have any of the items personalized with caching name and or tracking #. Each $7.50 or both for $10. Hat personalization is on the left side of the caps. Shirt personalization can be under the logo or right sleeve. If folks would like them shipped, it would be an add'l $5. or you can also pick them up at Friday night's pre event or at Saturday's mega event! order at mtnviewcreations@nycap.rr.com with what you want include you name, address and phone number and MountainView will send you a secure invoice through Square so you can use a credit card. Mountain View Creations will be available to purchase products at both Friday and Saturday events too. There will be a FRIDAY NIGHT PICNIC EVENT on 11/14/14, ﻿Metro Gathering Mega Pre-Meet and Greet﻿, in the countryside of beautiful Morris County, in Randolph NJ. New geocaches will be placed in the area as we will gather at a pavilion to enjoy a fireplace, and have some food to enjoy! If you are in the area FRIDAY, plan your day to end up at the event! see link here to the cache page. There will be otherMetro gathering Satellite events ~ check back for more info as we get closer to November! Lab Caches are a new and rare geocache type that can be found by attending our Mega Event. 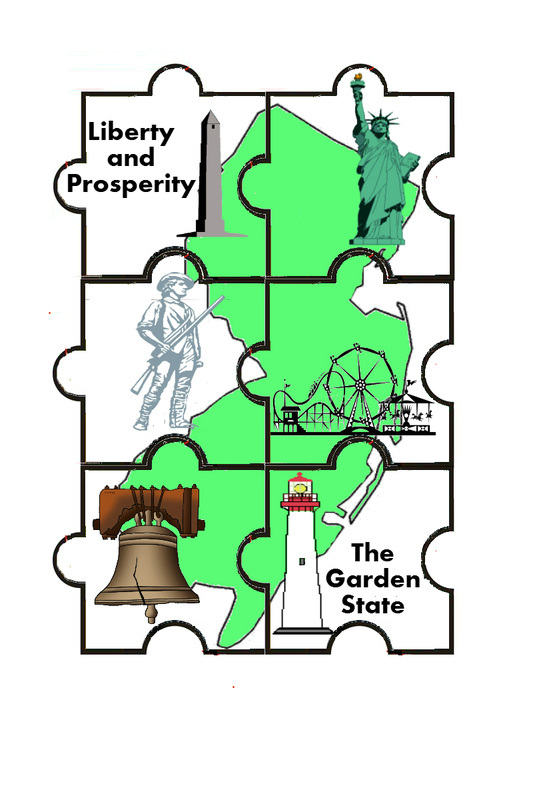 To find them, you'll be guided to various points of historical interest throughout NJ. At each point of interest, you'll have to write down a special code word that you'll use later to log the cache as found. The Lab Caches will publish the morning of the event. There will be a series of 5﻿﻿ new Letter Box Geocaches placed in Watchung Reservation. These 5 caches will contain a stamp and stamp pad. 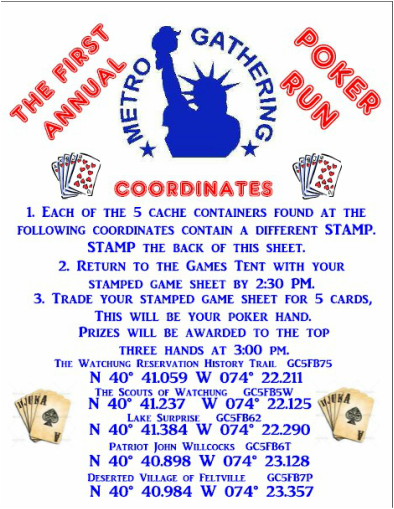 Geocaching HQ has allowed the Metro Gathering Mega to offer you this document prior to the 11/15 Mega Event. These new Historic Themed Watchung Reservation letter box Geocaches will go live prior to the Mega event to allow folks time to seek these new caches and be allowed to print this document and participate in the poker run too! Please watch your HQ notifications, you never know when they will pop up! Please stamp the back of this document with each stamp to prove you visited these new Letter Box caches. Return your stamped Poker Run sheet to the Game tent where you will reach into a box and pull out 5 cards, this is your hand. After all the hands are drawn, the highest hand will win a prize! This document with the actual coordinated will also be inside your registration packages! GOOD LUCK! SEE THE WORLDS LARGEST TRACKABLE GEOCOIN! Come and take your picture with the worlds largest 4 foot diameter trackable Geocoin! Thank you to all the Metro Gathering Mega event sponsors. Check back for a list of Vendors who will be attending the event! Thank you to the local Geocaching clubs who have donated baskets to the metro Gathering Mega event! The Union County Park Commission has contracted with a food vendor located onsite which we must use for the Mega event. In the Picnic Area Westfield's Girl Scout troop 40778 will be selling chili and hot apple cider. The proceeds from all sales will benefit Helen's House in Elizabeth, a woman's shelter that provides assistance finding employment and permanent housing. If the November air gives you a chill, consider a bowl of steaming chili or a cup of warm cider! The main consession will have hamburgers, fries, corn dogs,nachos, mozzarella sticks, hot dogs, pulled-pork sandwiches, chicken fingers, pizza, grilled chicken salad, jumbo NY style pretzels, cotton candy, popcorn, yogurt parfaits with granola and fruit, funnel cake, hot chocolate ,coffee, cappuccino, assorted Pepsi products Gatorade, orange juice, apple juice & water. There will also be a Sabrett hot dog cart, and a Italian ice pushcart roaming about. Early on there will be breakfast as well: oatmeal, fresh fruit, bacon egg and cheese, Taylor ham egg and cheese, Taylor ham sandwich and empanadas (chicken ,beef pork,vegetarian). If these options do not cut it here are a few restaurants and diners bordering the park on Rt. 27. Fuel up for finding! There will be a trackable trading tent, please bring your travel bugs to trade! There will be a pathtag, Extagz and geocoin trading tent, please bring your items to trade! Cachers, considering that we will be gathering for our Mega event only two weeks before Thanksgiving, The County of Union and the Mega committee have been working together on a plan to help those in need during the upcoming holiday season. St. Joseph's Social Service Center in Elizabeth, NJ is the perfect facility, as they run a homeless shelter, food pantry, and soup kitchen, all within a few miles from our event. The Sisters at St. Joseph are enthusiastic about our plan to give back to the less fortunate, and ask for canned goods, boxed foods, and other non-perishables. These items can be brought to the Mega Event on November 15th, where Boy Scouts will sort them for delivery to the shelter and pantry. What a great way to show that cachers care about the community, in a time when caring is needed most. Please consider bringing anything from a bag of groceries to a box of pasta to the event, and we will take care of the rest. Thank you for your generosity. -The Metro Gathering committee.